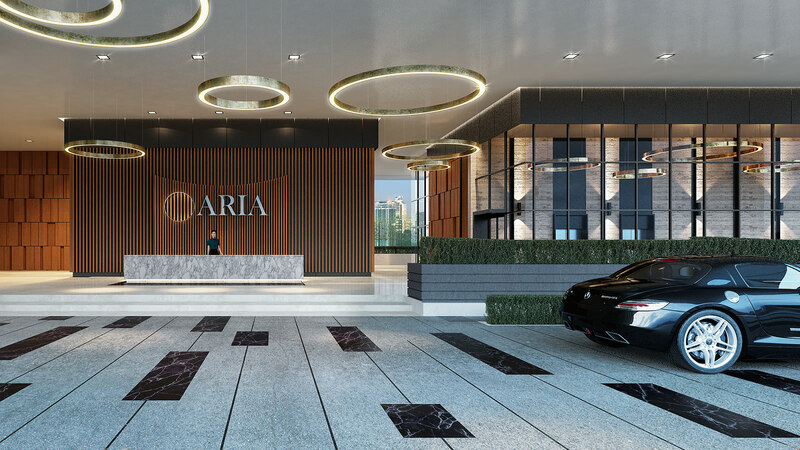 Aria has approximately 65,000 sq. ft. (1.5 acres) of facilities and leisure spaces, one of the largest in the city centre, comprising. 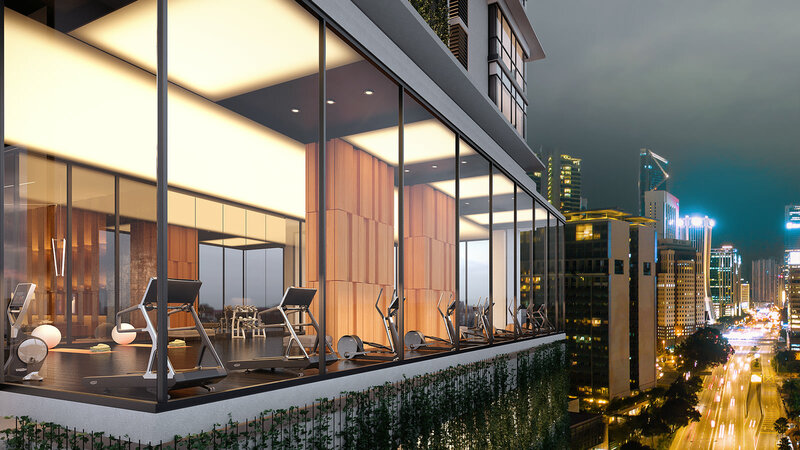 a high-energy area with its indoor and outdoor party spaces, gourmet kitchen and viewing decks for spectacular vistas of Kuala Lumpur city. is a place for reflection and meditation. A relaxation zone with a mini library, games room, and 1V lounge/music room. 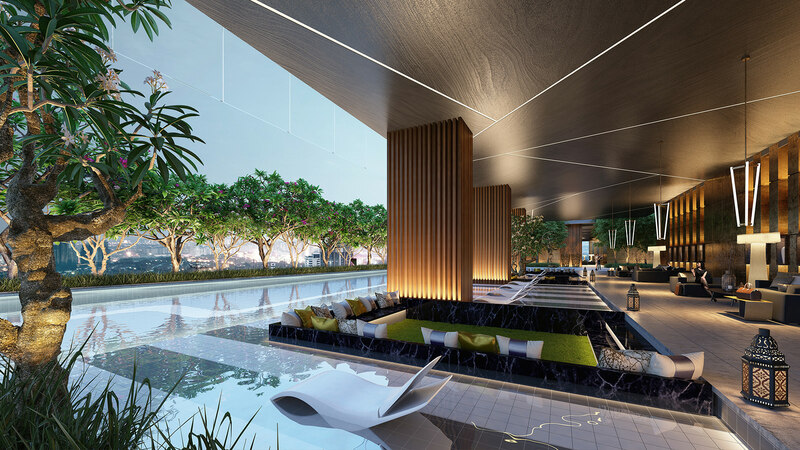 a 50-meter Olympic-size pool, replete with sunken beds, play and splash areas for kids, jacuzzi and a hydro gym pool. its elegant reception and lobby area, enhanced with music-themed art and sculptures.